BUSINESS OWNER, NOT READY FOR RETIREMENT? CONSIDER BUSINESS COACHING! Congratulations! You did it – you started a business, grew it, and eventually sold it. You undoubtedly made a lot of mistakes along the way, but your determination, courage, and “failure’s not an option” attitude prevailed. You beat the odds and have achieved what so many other people are struggling to achieve. You thought you were ready to retire, but now that you’ve sold your business, you realize that the entrepreneurial fire still burns within you. Maybe you’re looking for a new career, or maybe you’re just looking for something constructive to do part-time to earn some extra money. You are certain of two things: First, you’re not ready for the “rocking chair” just yet, and second, now that you’ve worked independently for so long, you have no desire whatsoever to work for someone else. So what can you do that will bring passion and purpose back into your professional life? Where can you find a profession where you can work as much or as little as you desire? How can you start another business without having to make a major investment of time, money, effort, and risk? The answer to each of those questions may be for you to become a professional business coach. Business coaching allows you to work for yourself and make your own hours. Professional business coaches can earn a significant amount of money without having to work every day, and they can work from home or choose to have an office. As an important added benefit, business coaches also have the great satisfaction of knowing they make an important difference in peoples’ lives. You know the deal…small to medium sized business owners in your community frequently struggle in their businesses. They get advice from friends, family members, accountants, and lawyers. Collectively, they spend countless amounts of money on books or audio CDs with the hopes of helping themselves earn higher profits, build strong corporate cultures, and build a valuable business which will finance their own retirements’ someday. You’ve been there. You remember the pains. According to the U.S. Small Business Administration, about half of all businesses that are formed this year will be out of business within a year. Of those who make it through their first year, half of those will be out of business within the next five years. And for the small percentage of businesses that survive until the point where the owner is ready to retire, only 20% of those companies are able to be sold for anything more than the value of their inventory and fixed assets. In other words, most small businesses don’t make it. Of the small percentage that do, the “pot of gold” at the end of the rainbow is equal to the amount of money they receive in a liquidation sale or auction. What a shame. Fortunately for business owners, there is a relatively new industry that is quickly emerging and helping more business owners realize their dreams. That industry is called “business coaching,” and former business owners like you have a strong track record of being outstanding business coaches. Who could possibly relate to the particular challenges of business ownership than someone who’s already walked in their shoes? You remember the good, the bad, and the ugly of being a business owner. You also remember how incredibly rewarding it is to be a business owner when business is going well. If the fire is still burning within you, and if you thrive on helping other people achieve their own dreams, the next chapter in your life could be as a Certified Professional Business Coach. 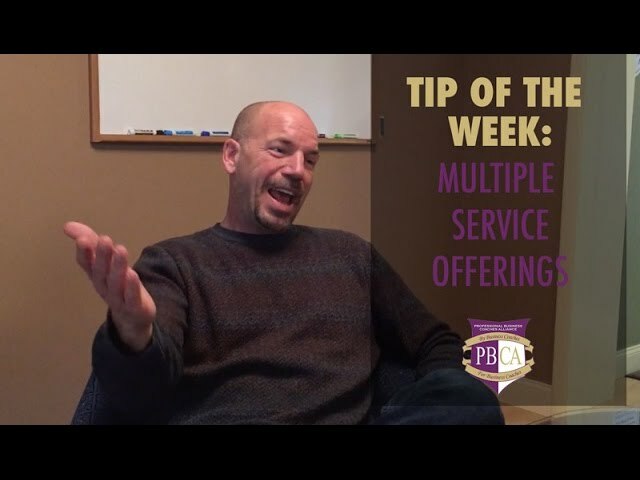 Jon Denney is the President of the Professional Business Coaches Alliance (PBCA) – North America’s Premier Alliance of Independent Business Coaches.